Orland is the leader of the publishing team for the current project, Wind, Water, Barley & Wine. The concept of the book emerged from a previous publication, Lennox & Addington. 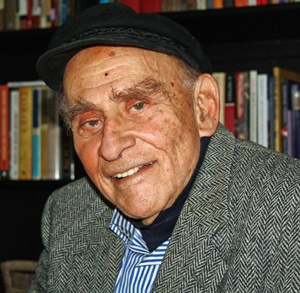 Perhaps it was inspired by Orland's pal Shukki, seen here. Shukki was found on the south side of Amherst Island, keeping a permanent vigil over Lake Ontario. 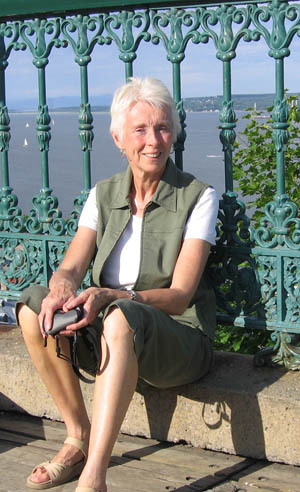 Sylvia is the resident proofreader and fact checker who loves to get out in the field as well. This photo was taken in the Italcementi quarry near Picton where the Historical Society of Hastings County was visiting on a bus tour. 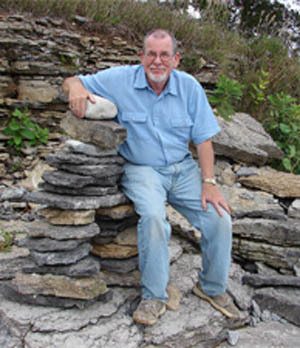 Dugald Carmichael is a renowned geology professor of Queen's University of Kingston, Ontario. In his retirement he continues to be amazed by the remains of some of the oldest creatures on earth – fossils he finds in sedimentary rock. 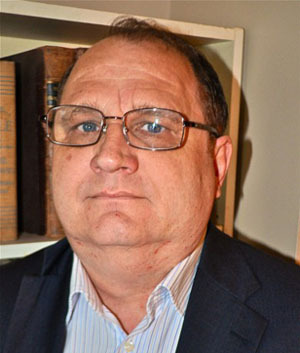 Dugald is our chief geological advisor on the Wind, Water, Barley & Wine project. This photo was taken on the south shore of Prince Edward County. Peter C. Newman, perhaps Canada's best-known historical author, has written a chapter on the Loyalists for the county book project. He lives in Belleville where he is working on a history of the Loyalists. An avid sailor, he knows the waters around Prince Edward like the deck of his sailboat, Grace Note. Lindi travels far and wide in search of interesting old architectural structures. Here she takes a break from inspecting the buildings of old Quebec City. 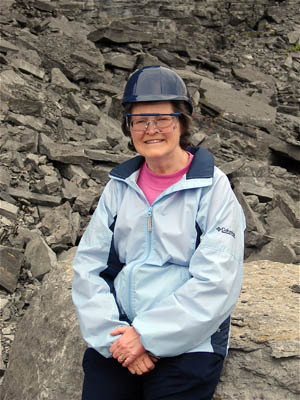 She is thoroughly familiar with the pioneer building techniques and styles in Prince Edward County. 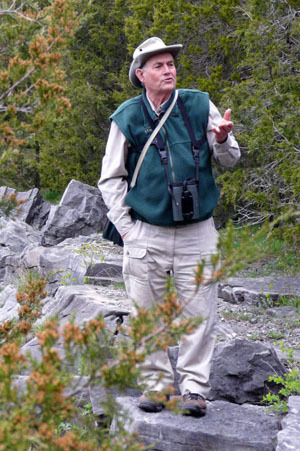 Terry Sprague is a popular naturalist and columnist who lives on Big Island in Prince Edward County. His outdoor expeditions in Prince Edward County and beyond are renowned, and he may well have seen most of the 351 species of birds recorded in the county. In this photo he is speaking to a tour group at Massassauga Point. Joe VanVeenen is a wizard at designing books and magazines, and has a unique talent to make the pages of traditional publications come alive. At Tikit Visuals he is constantly experimenting with new techniques to marry static print with the dynamic fluidity of the Internet. He's also a mean shutterbug. Here he is on the prowl for graphic images at Bon Echo Provincial Park. 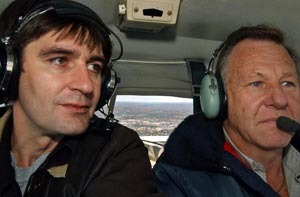 Darko, left, and his pilot, Robin Humphreys, fly as a team in search of excellent aerial shots. 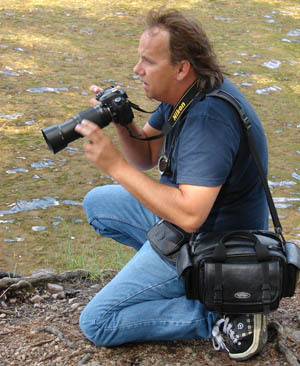 Zeljkovic has also covered wars in Croatia and Afghanistan, taking both stills and documentary films. Mark is an Ottawa journalist who also collects fossils. He has found some of the oldest and smallest in Prince Edward County and has supplied photos of them.